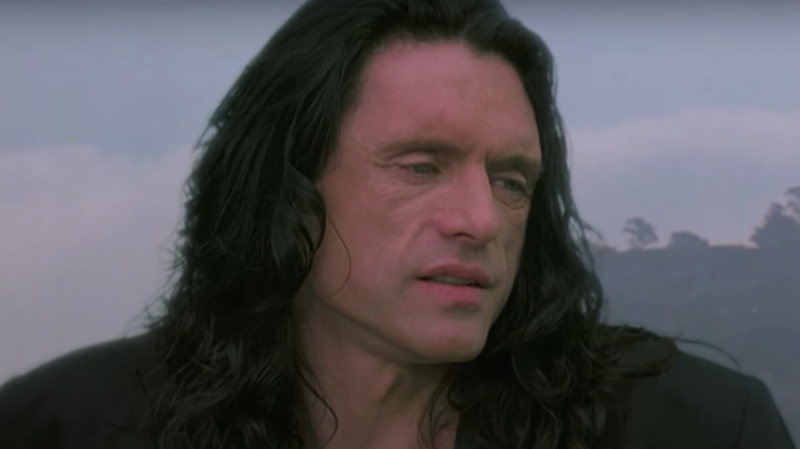 5 places you can watch "The Room" if you're now obsessed with "The Disaster Artist"
Chances are you’ve been seeing a lot of coverage about James Franco’s new film, The Disaster Artist, which is about the making of The Room. The critically acclaimed film has already been nominated for an Independent Spirit Award and will likely be a contender for Golden Globes and Academy Award nominations. Definitely not to be confused with Room — the 2015 drama starring Brie Larson — The Room is a romantic drama of sorts. Wiseau starred, and also wrote, directed, produced, and largely financed the film. The plot — this is as coherent as it gets — centers on love triangle between Johnny (Wiseau), his fiancée aka “future wife” Lisa (Juliette Danielle), and his best friend Mark (Sestero). The film also includes a fake pregnancy, a menacing drug deal, a dramatic surprise party, a cancer diagnosis, tux football, and finally, a tragic death. It’s a trip. The Disaster Artist — which stars James Franco (who also directed the film) as Wiseau, and Dave Franco as Sestero — follows the duo as they meet in an acting class and eventually decide to collaborate on the fateful project together. And while The Disaster Artist hilariously catches the magic of The Room, you’re definitely going to want to see the original film for yourself. Luckily, as the film has developed an intense cult following, The Room is shown in theaters all over the world and is often an interactive experience — a la Rocky Horror Picture Show. Wiseau is currently embarking on a “Love is Blind” tour to mark the 15th anniversary of the film and is even making appearances at theaters all over the country. The Nitehawk Cinema Williamsburg will be showing The Room for the first two weekends in December as their midnight (11:55 pm) showing. The Sunshine Cinema in New York is also showing the film as their midnight (11:55 pm) showing throughout weekends in December and the first half of January. Wiseau will be at the screenings from January 12th through 14th. The Room will be shown at 11:59 pm on Saturdays during the month of December at the Landmark Regent Theatre. The Plaza theater in Atlanta will be showing The Room during the first week of December. The E Street Cinema has showings during the second weekend of every month through June. The Main Art Theatre will hold showings during the first and third weekend of December and the first weekend in January. A24, which produced The Disaster Artist, told Vulture that more screenings for The Room will likely be held in January. An updated list of venues showing The Room appears on the film’s official website, but be warned: The website is nearly as bizarre as The Room itself. And while the film isn’t currently streaming online anywhere, it can be found on DVD on Amazon so you can enjoy it over and over again.